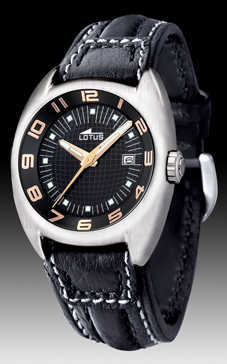 Watch Lotus. General collection. Analog quartz chronograph with machinery. Mineral crystal. Steel box treated with P.V.D (Physical Vapour deposit). Polyurethane bracelet. W.R. 5 bar = 50 m. 2 year warranty.